Question: Are you a start-up entrepreneur? If so, how many businesses do you own? If you’ve read some of my beginning posts, you know that I decided to go freelance with my Social Media/Networking consulting in late Spring 2012 after not having any luck finding a job in Social Media because of me lacking my degree (or being overqualified for an asst. position to a Mktg. dept….ironic, eh). 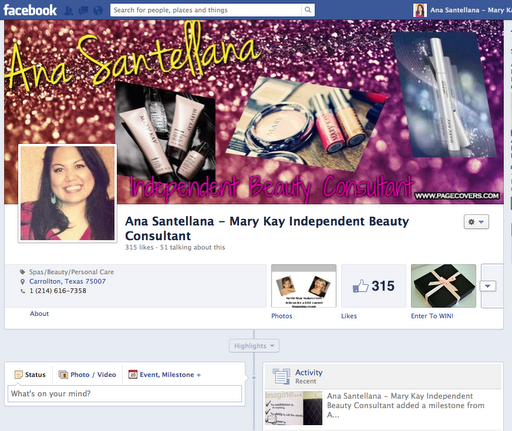 Well, did I ever mention that I also decided to start my own Mary Kay business too? If not, oops, I’m an Independent Beauty Consultant, FYI, and about to be a Senior IBC since I have a team of 3!! Now how does this correlate to the title of this post? Simple. As I was starting up with the consulting, I realized that I needed to network A LOT more if I wanted to make any $$. Yes, I had some professional contacts that gave me great advice and I was able to hone my skills a bit because I have great friends who hired me to advise them and their businesses; yet, I was/am still unknown in a world FULL of Social Media Consultants. This makes it hard to gain traction and make some money …and we all know money makes the world turn, at least for me it does at least. So, I came to the conclusion that a part-time job had to be found; on top of staying in school and freelancing. Looking for a job that would allow me to keep my school schedule (I was taking 12hrs in the Spring and am taking 12 hours this summer) and keep up with my own freelancing was impossible it seemed. And then it happened. I went to a Mary Kay Beauty Social on a Thursday night at the end of April and heard how the business was run by individual consultants. Now, don’t get me wrong. I live in Dallas, Texas…my mom is a former Mary Kay Independent Beauty Consultant, I have friends who are considered “Mary Kay babies”, and I’ve seen the Pink Cadillacs all over town but I was always skeptical. I remember swearing up and down that I’d NEVER use Mary Kay let alone be a consultant when my mom was running her business. So, at the end of the night, I was asked if I wanted to join and I said, “I’ve got to do more research…let me think about it”. I honestly didn’t have much intention on doing much research but I went home and did just that, for the next 2 weeks. As I researched, I read all the negatives (and there are a lot apparently) and studied the way that Independent Beauty Consultants (IBC’s) ran their business. And then BAM! …it was like a lightbulb went off. I could build a Mary Kay business using Social Networking and bring in money from sales; additionally, I could use my freelancing to help other Mary Kay IBC’s to build their business online too! Ta-Da!!!! In that instant, I decided “yes” and I signed the agreement the very next day. Here I am today, almost 3 months later and not only have I built a pretty good business using my Social Media skills but I’m also starting to do 1-on-1 consultations with IBC’s and helping them build a business online too. I’ll be running one of our unit’s weekly education classes, giving a brief overview on using Social Networking sites while adhering to the MK Guidelines (which I hope will also bring in more consultation appts.) and I’m also looking to expand this education training to other units in the DFW area. Now who says that you can’t have 2 businesses which build on one another? I double dipped my businesses together and found something that worked for me, while having fun doing it, ironically. So, I ask again….how many businesses do you own if you’re a start-up entrepreneur? And will you be brainstorming now to find a 2nd business that you can work in conjunction with the one you already have? Either way…GOOD LUCK!! PS. If you’re interested in learning more about the Mary Kay opportunity, contact me at asantellana@marykay.com or if you’re just interested in the products then you can check out my website at www.marykay.com/asantellana ….. 15% off your first order, just type “Double Dipping” into the comments section at checkout and I’ll send you an updated total. « Does It Ever End?!?!?!?! ?